Good day, everybody! For today’s article we shall be talking about these two braces: lingual & invisalign. This way we will be telling you first what they are, what they can accomplish, their advantages and disadvantages, and also how to take care of them. Braces are an orthodontic treatment to help align and fix a misaligned smile. There are also a bunch of benefits that come from having an aligned smile! This is due how crooked teeth tend to have more difficult spots for the brush to clean, and also that they can keep shifting. So to avoid further issues, we recommend visiting a dentist here in Los Algodones! Traditional braces are placed on the front, which can be bothersome to some people. They are not stealthy at all as they show every time we open our mouth to eat, smile, or speak. Knowing this, then we can know address the lingual braces’ strengths. 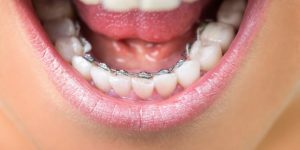 Lingual braces are just like traditional braces, except they get placed onto the back of our teeth. This allows for the braces to be hidden on the back, so no one can really know for sure you are wearing them. The only downside to them would be that sessions at the dental office to align them usually take a little bit more. This is because as they are bound to the back of the teeth, they are not as easily accessible as traditional ones. In order to have a patient have lingual braces, it is necessary to take an impression of their teeth first. This is important as the brackets need to be customized. Once they are made, which usually takes about a month, they are placed onto the teeth with a special glue. Invisalign are made to be technically invisible. 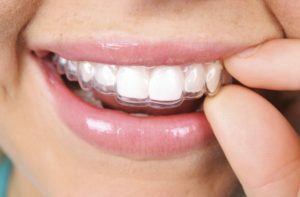 They are aligners made of clear plastic that are worn just like a mouth guard. So, much like mouth guards, they can be removed and placed back on your teeth, allowing the patient to eat and drink anything without problem. For instance, compared to traditional braces, invisalign have a cosmetic advantage. They can be clear or invisible. They are removable, unlike traditional and lingual braces. You are able to eat and drink anything. You just have to remove and clean as necessary. Like braces, you have to wear them most of the time. Typically, you will be wearing invisalign for about 22 to 24 hours a day. These are its strong points. As for disadvantages, there are some to mention. First that they are usually pricier. Another downside is that they need to be replaced every 2 weeks in order to be effective. Setting that aside, aligners work pretty well for people that do not fancy brackets and wires altogether. For invisalign to be made, they have to be perfectly tailored to the patient’s teeth. For this a specialist will use many tools to make them as accurate as possible. This includes X-rays, pictures, and impressions so the aligners are exactly what the patient needs. As they are placed right at the backside of our tooth, we have to pay extra attention. Los Algodones dentists recommend being through and thorough with your brushing, especially at the back of them. The use of mouthwash can also greatly improve the whole cleaning process. It’s quite easy to take care of these. You only need to take them off before you eat or drink anything and to brush after the meal! This helps keeping the invisalign from staining. It is a matter of being committed to brush and clean both your teeth and your invisalign. No Replies to "Braces comparison: Lingual braces & Invisalign"